REAL Insurance Tanzania Limited (formerly Royal Insurance) was incorporated in 1998 in terms of The Insurance Act of 1996 after liberalization of the Insurance industry. The company has been operating in Tanzania since then. REAL Insurance Tanzania Limited is a subsidiary of REAL Insurance Company Limited of Kenya with substantial shareholding being owned by Tanzanians. The group has been in operation in East Africa since 1910 therefore has thorough understanding of the regional market. The company has tremendous experience in international insurance through its global network partnership with Royal & Sun Alliance Insurance Group PLC. 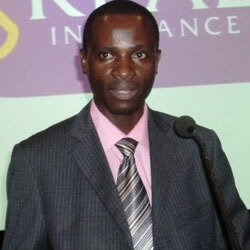 You can learn more about REAL Insurance Tanzania, its product and services by reading TanzaniaInvest.com exclusive interview with its CEO Stephen Okundi. REAL Tanzania insurance products include: corporate, engineering, travel, motor, personal, marine, golfer, fleet and SME. REAL Insurance Tanzania client base includes financial institutions, manufacturing, agriculture, constructions companies, professionals and individuals.